Father and mother rabbit came down the hill when they heard the excited squeaks of the field mice with their firefly lanterns. "We found him!" they were all squeaking. Into the light of the candle came grandpa raccoon, carrying the frightened baby rabbit. 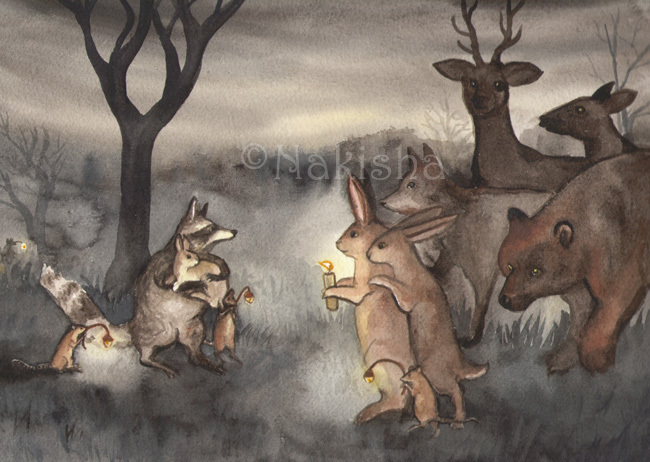 The other animals drew near to see, then everyone let out a happy shout when they saw baby rabbit was ok.